Bonhoeffer fights his own Lutheran church and Nazis for the church’s soul in the 1930’s. God will not leave him alone until he works to destroy the Nazis. 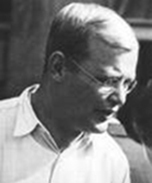 Dietrich Bonhoeffer, born an aristocrat and trained as a religious thinker in the 1920’s, gradually became an active fighter for the soul of German Protestantism. His training as a theological student did not prepare him for the whirlwind of National Socialism. In his story of faith, he sees his church abandoning its Christian principles to embrace Nazism and fights back; first, with words, then, with defiant action. Like Martin Luther, his faith in God’s grace is strengthened by struggle. 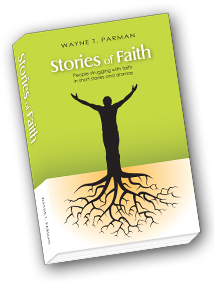 He argues against taking the easy way out of faith through cheap grace. Instead, he battles for the cost of discipleship or living our faith through tough choices. By 1939, the German Lutheran church embraces Nazism completely. Slowly, Bonhoeffer begins to see God is calling him to oppose Hitler, even if it costs him his own life. Stranger: You tried being a thinker, chaplain, and preacher. Frustrated at all turns. First by bureaucrats, then by Nazis. Now you want to run a Protestant monastery near the North Sea with the help of a few rich people. Not exactly the route you planned, is it? S: I’d be angry and frustrated, too. DB: Sometimes I feel like God is testing me. S: Someone once told me God needs clever men in heaven. DB: I think He needs me more here. There’s much to be done. S: Then you must find something to do in this world. Are you married? DB: I don’t have time. S (Laughs) : That’s the worst excuse I’ve ever heard. Do you know how long it took to change people’s minds about priests being married? S: Right. I saw a middle-aged couple on the train today, holding hands. When he started reading, she adjusted the window blind for him. When she took a nap, he put a coat over her for warmth. That affection is wonderful. You should try to find it for yourself. DB: I’m happy with my life. S: Do you prefer men? S: We always had some who did. DB: I have work to do here that keeps me fully occupied. DB: I’m torn. I don’t know whether to write or act. S: Writing can be acting. Sometimes solitude produces great ideas for action. I had some of my best inspirations in my cloister rooms. Occasionally, in the bathroom. Had constipation even then. Not everyone is converted to Christian action in a blinding light like Paul. (A small bell tinkles in the garden.) What’s that? DB: I think there are some chimes in the garden where you broke the pot. (Yawns.) It’s very late. Do you want to sleep here? S: Yes, I could use some rest. Do you have a pallet or bed? S: There are many courts of public opinion in Germany. S: Heckel knows your writing is a powerful weapon. Hitler and the Nazis probably are scared of it. When an idea comes to you, don’t be afraid to act on it. DB: If only it weren’t so difficult. Knowing what to do. S: And being willing to accept the cost.